The building is entirely handicap accessible with parking behind the museum. Metered street parking. Indoor city parking lot 2 blocks from museum. WEEKENDS ONLY: parking in lot behind museum. Between exhibitions the gallery will be closed for viewing but the museum shop will remain open. Winter Snow Policy: Check radio and TV listings. If the Lowell schools are closed the Museum is closed. In case of inclement weather the Museum may elect to close early. Please call before visiting. 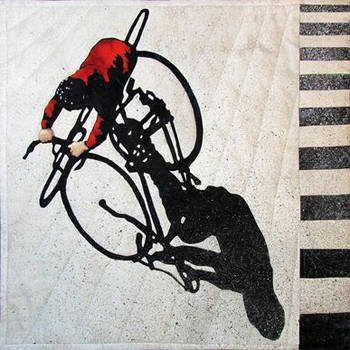 The New England Quilt Museum preserves, interprets, and celebrates American quilting past and present. Docent-led tours giving visitors a look at quilt history and heritage, as well as trends in today’s fiber arts. Workshops and classes teaching the basics of interesting quilt techniques, as well as advanced methods. Workshop space for quilt groups, with the inspiration offered by great quilts on the walls. Conveniently located in picturesque and friendly downtown Lowell, Massachusetts, the New England Quilt Museum is situated in the heart of the historic textile district, making it the perfect starting point for a tour of neighboring textile history sites, art galleries, and museums. Dining options ranging from deli fare to international cuisine are all within a block from the museum—or less. Less than forty-five minutes from Boston, the Museum is an ideal side trip for any visit to New England. Tours for groups of 10 or more, or workshop space rental, can be arranged with advance reservations. Choose between tours that are self-guided with an introduction and orientation by a museum staff member or personally guided by the museum's curator. Contact Joan Ciolino at acctspayable@nequiltmuseum.org or 978-452-4207, ext. 14 for pricing and reservations. The museum offers a variety of classes throughout the year on quilting techniques for all interests and skill levels. Visit the website, or contact the shop for more information about classes. The New England Quilt Museum Library is a self-supporting facility staffed entirely by volunteers. Our volunteers are available to research your questions on any aspect of quilting. We TRY to be on hand when the museum is open, but please call or e-mail us in advance before making a special trip to do research in the library. Borrow from the circulating collection containing over 1600 books, including quilt fiction for adults and children, and videos. Have borrowed library books mailed to them for the cost of postage.. Individual quilters, publishers and authors donate books, magazines and videos. Every new item is kept in the reference collection with 2 additional copies of books placed in the circulating collection. Any items not needed for our collections become part of our Continuous Yard Sale. Items are sold at 50% of their original value. The Library also welcomes donations of quilt related items. The proceeds help fund the ongoing expenses of the Library and the Museum. New volunteers are always welcome. Come once a month or more often if you like. You'll have total access to all these wonderful resources, a substantial discount at the Museum Shop and can view the current exhibition each time you volunteer. Lowell is uniquely suited for the Quilt Museum as the historic center of the nation's textile industry as well as the site of the first urban National Park celebrating that history. 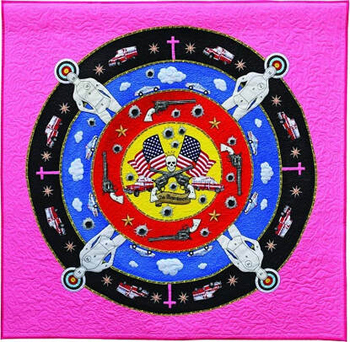 Since the New England Quilt Museum opened its doors in 1987, it has worked to present the finest examples of traditional and contemporary quilts. 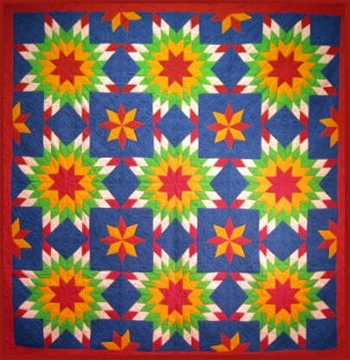 The museum collection today includes over 400 antique and contemporary quilts and tops, plus numerous related textile and sewing items, representing the history of American quiltmaking. The museum's first acquisition, commissioned by the New England Quilters Guild for New England Images I, was "Archipelago", a contemporary work made in 1983 by Nancy Halpern. 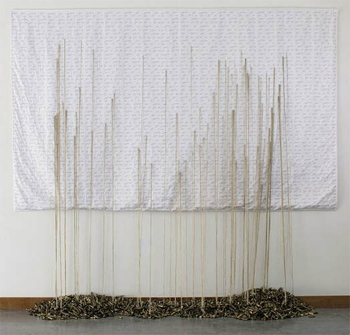 In 1986, a second contemporary piece was commissioned by the Guild; "Bloodroot", made by Ruth McDowell, a two-sided, three-dimensional quilt that was ground breaking in both concept and execution. During the first four years of the museum's operations the number of acquisitions ranged from 8 to 19 antique quilts per year. The museum also collected quilt-related items: patterns, quilt tops and squares, sewing machines, and educational materials. The year 1991 was a memorable one for the New England Quilt Museum. Early that year, the museum received a gift of thirty-three quilts from the collection of Gail Binney and her father, the late Edwin Binney III which nearly doubled the museum's collection. The quilts were all antiques and the gift included many exceptional and unique pieces: mid-nineteenth century indigo and other blue quilts, bold Amish geometrics, and traditional patchwork and appliqué quilts. These fine quilts provided both breadth and depth to the museum's collection. Even in the early days of their collecting, Gail and her father believed that their quilts should be donated to an institution that would be able to share them with an appreciative public. The Binney family's commitment continues as each year Gail designates another quilt from her collection to be donated to the museum. In total, the family has donated over 50 quilts to the Museum since its founding, demonstrating significant and lasting support for the institution and to making quilt history accessible to a wide audience. The Museum has continued to be the recipient of donated quilts from generous individuals and families seeking to preserve their textile histories. The collection has also grown due to the generosity of New England quilt guilds that have given traditional quilts to our permanent collection, and donated quilts to be used as fundraisers to care for our antique quilts. The majority of the items in the Permanent Collection of the New England Quilt Museum were acquired through the generosity of donors. For information on donating quilts, quilt tops, or related textile and sewing items, email collections@nequiltmuseum.org or call 978-452-4207 ext.11. A few of the quilts from the collection are shown and described in our on-line gallery.